On most modern estates through out the uk, rendered buildings are becoming a common site. Previously almost all houses that were built were done so using brick and left this way, now building companies are trying to make every house look individual and in doing so are putting a rendered finish on some. 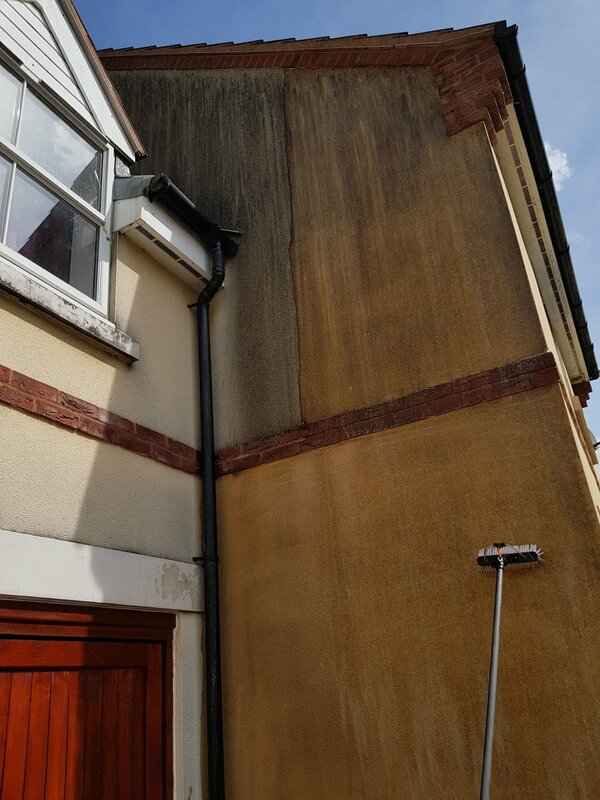 The pictures provided above of render cleaning in Gloucester show the types of the dirt that can be expected. WHY HAVE YOUR RENDER CLEANED? Your home is the normally the biggest cost of your life, you spend most of your time in or around it, its where you raise your family and live. Is it not common sense to keep it looking at its best and to keep up to date with maintenance. 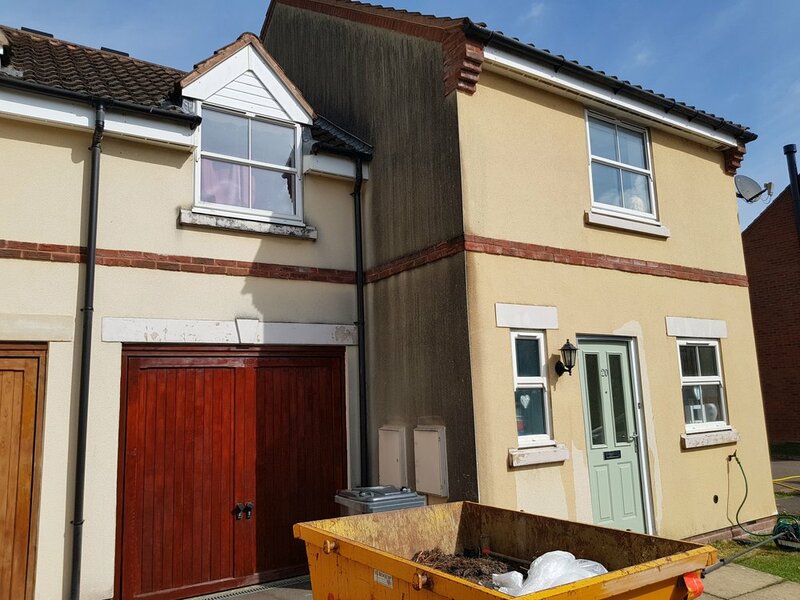 With render being a more common finish all of the time, this is now part of the maintenance of a house. Leaving it can make your house look unsightly which can negatively affect the the valuation of your house. Leaving this even longer can actually damage the render, if moss and algae are allowed to grow on the surface this can prematurely “rot” the minerals in the render. If left to freeze and expand can blow the surface off the render, which in turn can then be a breeding space for more moss…and so the cycle begins again. These are just some of the factors that have to be taken into account if you need your render cleaning. NEED YOU RENDER CLEANING IN GLOUCESTERSHIRE? Don’t think that your render can simply be cleaned with a pressure washer, this will cause damage that is very hard to repair. Call in the professionals for a free quote and a free test patch to show you how clean we can get your render cleaning. Newer PostWhat is Soft Washing?